TENSILE CAR PARKING ROOFING CONTRACTORS IN CHENNAI We bring forth for our clients an extensive assortment of high quality Car Parking Tensile Structures. These structures are manufactured by our skilled professionals using superior quality raw materials and latest technology in sync with set quality standards. Moreover used as a roof in various commercial and housing buildings, these structures are made available to the clients in various sizes, shapes and dimensions according to the demands of clients. CAR PARKING SHED IN CHENNAI we are engaged in offering an excellent assortment of Car Parking Roofing that has light weight in comparison to conventional structures. This roofing is accessible in different sizes & other related specifications as per the demands of the customers. Our given roofing is designed with precision using best in quality material & modern techniques keeping in mind the set norms of industry. We offer this roofing at affordable price to our valuable clients. 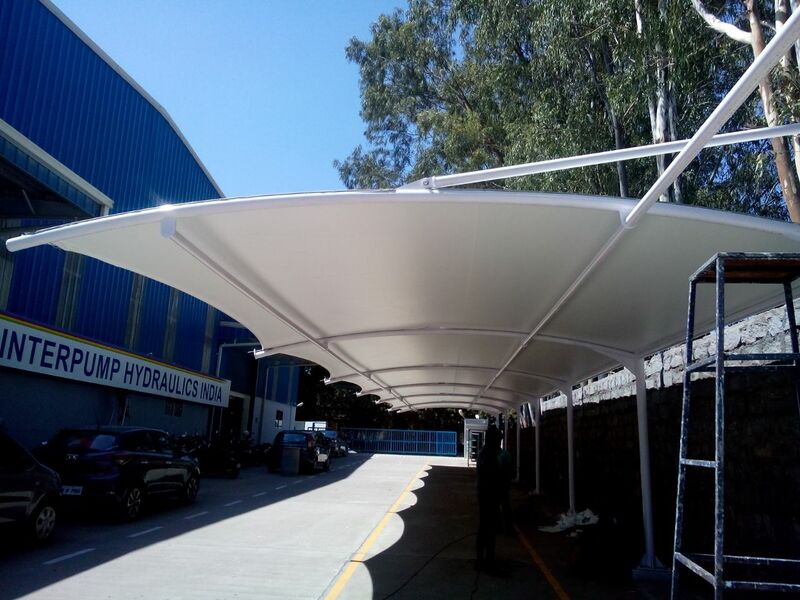 TENSILE MEMBRANCE STRUCTURES IN CHENNAI We are dedicated in offering our esteemed patrons a qualitative collection of Tensile Membrane Structure that ensures successful roofing in varied public places including airport, railway stations and different other allied areas. Obtainable in various colors and designs and prints, the offered structure can also be customized as per the demands of clients.